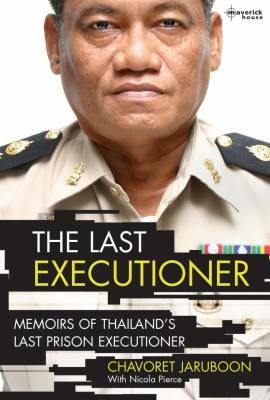 Chavoret Jaruboon was personally responsible for executing 55 prison inmates in Thailand’s infamous prisons. As a boy, he wanted to be a teacher like his father, but his life changed when he chose one of the hardest jobs in the world. Honest and often disturbing – but told with surprising humour and emotion – The Last Executioner is the remarkable story of a man who chose death as his vocation. The Last Executioner is not for the faint hearted. It takes you right behind the bars of the infamous ‘Bangkok Hilton’ and into the shadows of its grim death chambers.